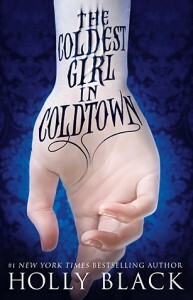 The Coldest Girl in Coldtown was my first novel from Holly Black. Since reading this, I've heard plenty of comments of CGiC being her best writing, and I have to say that it lived up to the hype. Scary, fast, believable, romantically dark, and easily one of the best books I've read in 2013. The world is as it is today for Tana, school, parties, reality T.V., and an ex-boyfriend. Only add in the bonus of vampires. Vampirism is a spreading disease, the world struggled to and finally contained it before the world dried up. 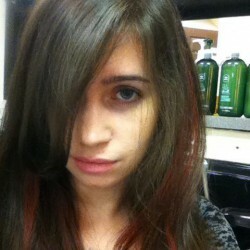 Holly Black's vampire bites are unique, think similar to an STD, the vampire disease is spread through saliva and blood. Once you're bitten, you have around 88 days to sweat out the venom and resist human blood. One drop of human blood will instantly change you into a vampire. If you can resist you get to go back to being human, but the thing is nobody can resist unless heavily drugged and restrained. Sometimes not even then. Since vampires came out of the coffin, immortality is mostly treated as a plague on humanity, but others see it as a gift. The dying, the sickly, and the troubled youth are desperate to become vampires. Unfortunately, every new vampire is more trouble than they're worth: a drain on the blood supply, the potential risk of making even more vampires.... Not that any of this makes a difference to those craving forever. Because, who wouldn't want to be young and beautiful forever? So what if you have to drink blood, humans in Coltowns freely offer it (mostly). So what that you have no control over a strong biting reflex? No problem. Our Main Character (Tana) wakes up after a typical teenage crazy party only to find that she is the sole survivor (if you take the facts into consideration) of a vampire-crawling-through-the-open-window massacre. So there went the whole "Invite me in," spew in a fun way. Vamps crash your party... things happen. And Tana takes the murders of her friends pretty well. Alarmingly well. And then her brain turns on. And realizes the murderous vampires are still in the house, full, and sleeping the day away until sunset. I won't spoil the fun but what ensues gives the entire book purpose. Say it with me: Adventure Time! But no time to worry, because now they have to do the hero thing and willingly go to the nearest Coldtown to prevent further loss of life... and of course, it's the coolest Coldtown on the East coast. But, again, once you go in you're stuck there. Forever. And most people's reaction goes like "Might as well party." Tana, Aidan, and Gavriel made up the main trio of trouble. As we delved deeper into the world we picked up Midnight and Winter (the desperate twins. Later, as POV switches, Tana's younger sister Pearl was a walking cliche. Overall, they were all surprisingly flushed out, had layers, believable depth, and all the back-story goodness you can crave. They were each a product of their environment and Holly Black created a wonderfully frightening world similar to own own. I thought Black really captured people's desire that drove them to enter these Coldtowns of their own free will, through the quotes at the beginning of the chapters and her own talent. Vampires have been romanticized in modern times to the point where most forget they have fangs for a reason. Immortality isn't as glamorous as it appears on T.V. If you enjoyed Anne Rice's Vampire Chronicles. If you like stories that have anything to do with vampire mythos. CGiC had excellent overall readability. However, I kept thinking Tana was named Violet for some reason or another.